Just a handful of years ago, I found myself in a situation where I was absolutely tribeless. I was making the shift out of being a ‘stay-at-home-mom’ and back into being an entrepreneur. I instantly found myself blindsided and clueless on how to find my tribe. Read on for tips and stories on how to avoid this for yourself. Rewind the clock 5 years to Colorado. Our second child was on the way and we had a sudden urge to live closer to family. I already had a laptop business, so I could live anywhere in the world. 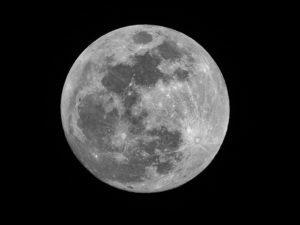 When an opportunity arose for my husband to work on NASA’s exciting, new, ‘back to the moon’ space program in Houston, we jumped at the chance to move down there. All went well in the beginning. New moves are often exciting. Baby #2 arrived. And I began my very first blog about our wealth-building journey. Because we were doing well and meeting all our financial goals easily, closing down my business and becoming a full-time stay-at-home-mom for awhile seemed like a fantastic, affordable next step. I quickly found and joined several ‘mommy tribes’ in the local area and attended group park outings and ‘mommy/kid parties’. It was sort of fun…at first. But, the talk was limited to diaper blowouts, mosquito bites, potty training fails, preschool gossip, and bitching about spouses and housekeeping. Only when red wine and evening fire pits were involved did the talk, sometimes, loosen up. At first, I just felt rather bored that the conversations were so surface-level. Then, I noticed frustration creep in as I couldn’t seem to interest most of the women in moving beyond the basics. Later, I noticed apathy and depression beginning to take hold. I felt, increasingly, alone in my ways of thinking and being. This was especially true when I tried to discuss any aspect of money and family finances. In fact, it got so bad that I began to seriously wonder if something was wrong with me. Was I really a ‘weirdo’ for wanting to talk about more meaningful aspects of family, life and finance? When I talked about money she looked at me like I was an alien. The blinking eyes and deadpan stare she returned were enough to confirm I was from another planet. All she could ultimately utter, with pride (I might add), was “Oh, my husband handles all that stuff”. I came home in full self-doubt. What in the world was wrong with me? Why was I so interested in topics beyond diapers and school busses? Why was my OWN husband not handling these financial matters for me? Do normal women do money? I seriously felt like a freak who missed the whole lesson on how to make friends and be a proper woman. 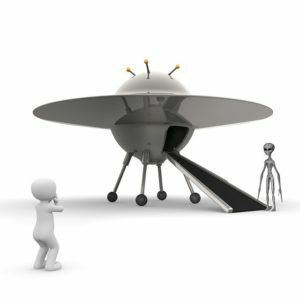 For a month, I wallowed in my self-doubt and feeling like the alien. Until one day when I encountered my next door neighbors’ house sitter. Something about her felt right. And, within minutes of meeting her I was baring my soul to her. She listened…and she could hear me. What the house sitter was referencing was finding my tribe. I’d had some very fulfilling tribes back in Colorado. But, I hadn’t realized that I’d completely lost them after having our first child, and then during our life in south Texas. It was stunning to wake up to the fact that I was totally and completely TRIBELESS. I soon realized that I needed to be much more intentional about tribe-building. And, that it was going to take some time to get a support system and a sisterhood back online. Since my kids had reached school age, I felt ready to begin moving back into entrepreneurship. So, I put out messages on the mommy forums (some with 10,000 local members) in hopes that I’d meet some inspiring mommy entrepreneurs with whom I could share ideas and support. But, the biggest response to my multi-effort outreach was silence. I checked places like Meetup and other local forums for interesting entrepreneur groups in my geographic area. But, with no success. It wasn’t long until I realized that our suburbia was predominantly populated with stay-at-home-moms. True entrepreneurship, in the way I once knew it back in Denver, was not present there. This was a depressing realization, at first. Until I found Leonie Dawson’s online “Amazing Biz and Life Academy”. With a few taps on the keyboard and the numbers on my credit card, I was soon granted access to a gorgeous, delightful, supportive, online tribe of women all over the globe. In this space, I found women who talked business, inspiration and how to face the stresses and emotional challenges of entrepreneurship. I cautiously tested them with my own ideas and problems – fearing more rejection – and found myself being validated, nurtured, and supported. The deep self-doubt that had been growing within me for about 5 years suddenly began to crack and fall away. And, all it was taking was a like-minded, business tribe of women who made it okay to be me. 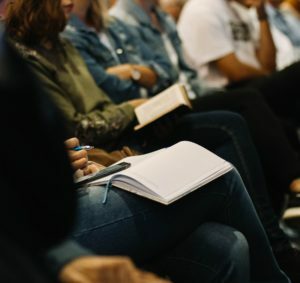 An online entrepreneurial community can be a fantastic way to get your business juices and support systems going, especially when you live in rural, suburban, or economic areas that don’t align well with your interests. 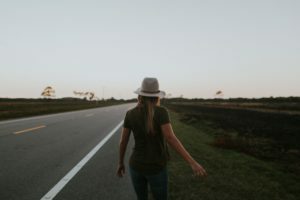 After a year of being in Leonie’s Amazing Biz Academy (which I can’t currently recommend since it’s gone through some weird, drama-laden changes), I found myself desiring deeper, in-person, entrepreneurial connection. 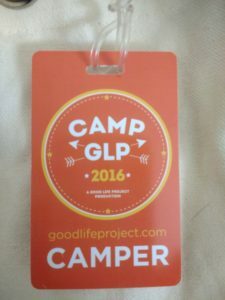 Jonathan Field’s “Camp GLP” (GLP = Good Life Project – which closed it’s doors in late August 2018) came to mind. Camp GLP was an adult summer camp for entrepreneurial “movers, shakers and world-changers”. I’d wanted to go the first year, but had felt too intimidated to attend. (Who was I to think of myself as a ‘mover & shaker’?) But, now I was ready. Terrified, but definitely ready. The in-person tribal experience was an even bigger game-changer for me. For four full, jam-packed days, I found myself completely immersed in my entrepreneurial tribe. My 2nd year as a GLPer. Wild, crazy, inspired fun. No conversation was off-limits. We talked business, fears, money, creativity, relationships, dreams, desires. We danced to loud music and took risks in front of one another. We cheered each other on and bonded over late night conversations in our dorm-style bunkhouses. I came back a totally changed person – feeling completely at home in my skin – and with a few friendships that will surely last a lifetime. Having this kind of tribe – female and male – is, without a shred of doubt, a key to one’s success. The right entrepreneurial tribe will not only help you feel at home in your skin, it will inspire you to think bigger and go farther with your business. It will catch you when you fall and show you how to take the next step. Families, friends, and other kinds of tribes simply cannot replace what an entrepreneurial tribe can do for you and your business. If you don’t currently have an entrepreneurial tribe, I suggest starting your search, locally. All of these can be great places to start. Later, if you have the budget, try out an immersion camp where you are surrounded by entrepreneurs for many days. It’s ideal if you have to bunk with them as it breaks down barriers FAST. If your location is more rural and lacks inspired entrepreneurship, or if you are confined at home due to childcare responsibilities, lack of transportation, or any kind of disability, an online tribe would likely fit the bill. Facebook groups are an easy and free place to start. If you want something more private, more intensive, more tightly-knit, a paid group can be worth it’s weight in gold and worth the effort to find. You might recall me sharing earlier that I began my first wealth-building blog soon after we moved to south Texas. At the time, it was the only space that I had to talk about money. My money tribe consisted of Me, Myself, and I. 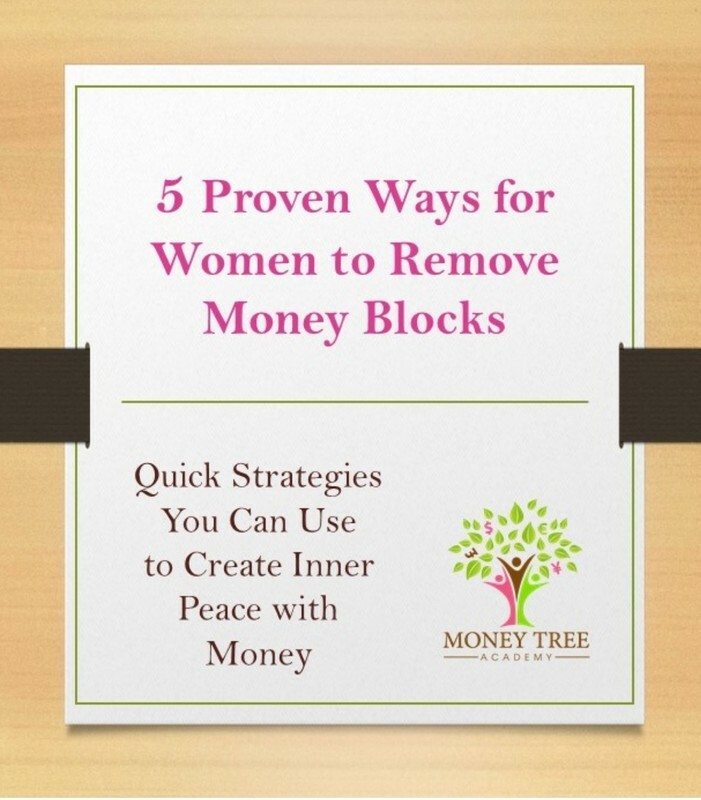 Even my husband didn’t want to talk with me about money (so I often implemented all the wealth-building and money-management strategies in silence). Realizing that I wanted and needed to have more outlets to explore financial strategies, learn new ideas, and get emotional support, I began taking stock of who was in my universe. With whom could I safely break the money taboo and open up the conversations to include financial topics? It was a somewhat scary endeavor, at first. Some people were VERY uncomfortable when I tested this water with them. Like…’oh, my god…alien…run’ level of uncomfortable. Eventually I got my parents, my college best friend, and one of my south Texas mom friends (and her husband) to be more open with me and talk about money. Money taboo, be darned! Because money plays such a MASSIVELY CENTRAL role in life, it felt wonderful to finally open that avenue of conversation. Though it was a very small group cobbled together via my neighborhood association, the conversations that happened there were immediately intimate and profound. In our group was an entrepreneur, a school staff member, an attorney, a corporate employee, and a woman reworking her whole career direction. 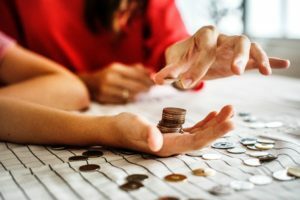 Through the financial insecurity of single momhood, bankruptcy risks, struggles to save enough for retirement, risks to the finances due to an insecure marriage, lack of confidence around investing and more, we found camaraderie and normalcy in how money impacted the core of our daily lives. In my expert opinion, all women need some form of Money Tribe. 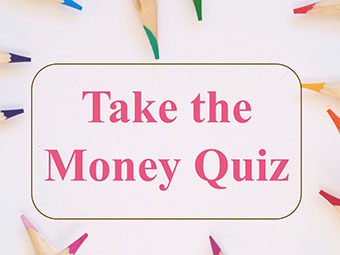 You need some way to safely and comfortably talk about any money fears, challenges, questions, concerns, and ideas that arise in your everyday life. Because money sits at the very foundation of nearly every aspect of life, letting the taboos around money rule you is like suffocating your very essence. Especially as a woman – because YOU, dear woman, will better understand yourself by talking things out. The need for a Money Tribe is even MORE crucial if you’re an entrepreneur. Not only should you have a way to discuss your personal finances, but also your business ones. 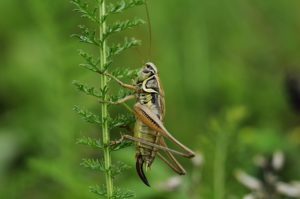 They are very different animals that come with different skill sets, goals, structures and systems. You could be great with one and terrible with the other. So, consider having at least one entrepreneur or business owner in your Money Tribe. 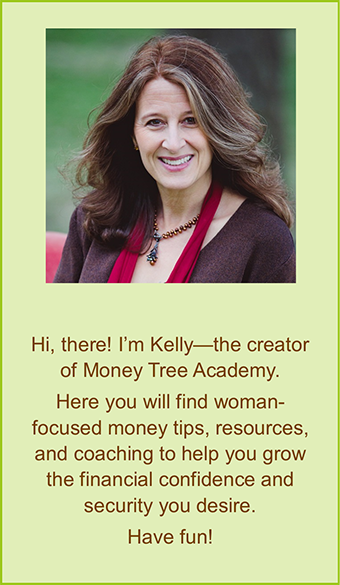 A great way to start your own Money Tribe is through a money book club. It will break down the money taboo barriers and get you all talking very quickly. This is the kind of tribe I almost overlooked. When I was beginning my early journey of trying to rebuild tribes in my life, I thought I just needed more friends to hang out with. But, slowly, I realized something deep was still missing from my life – something that friends could not fill for me. Doing your passion with your tribe feels amazing and inspires so much creativity. I had always LOVED dance – wild, passionate, ‘full-on, immersion in the cell structure of music’ kind of dance. I’d trained for years in the jazz-style and loved leaps and pirouettes, and I’d also come to enjoy some modern and tribal moves along the way. In my previous suburbia life, I had zero outlets for this creative passion. In fact, I’d had no outlets for it for well over a decade. So, one of my biggest passions was withering on the vine. I began my search for a local dance class and soon gave up. There was nothing for adults in my local area. For about two years, I shelved the idea because I couldn’t find a solution. One frustrated day, I decided to search, again.This time I broadened my search to include Houston – 45 minutes to the north of me – and I found Nia dance. There was an early Saturday morning class at Nia Moves in Houston, taught by world-class Nia trainer, Helen Terry, which would require me to get up at 6:30am. I gave it a shot and never looked back. I came home later that morning in a greatly expanded state. 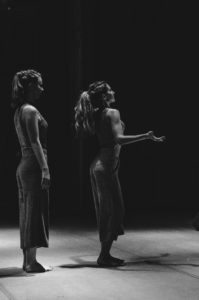 Dance, like many other creative arts, has a way of getting the right and left brain lobes working together in more harmony. Not only did I feel incredible from all the endorphins flowing through my veins from the exercise, but I found I was thinking more clearly than I had in YEARS! Dance has now become a way for me to quickly activate my creative state for writing articles and speeches, and recording videos. Every entrepreneur needs some way to activate their own creative state and get the brain’s lobes working in concert. It’s a safe, caffeine-free ‘pick-me-up’ that has the power to get you on task FAST. For you, maybe it’s yoga and the creativity of body movement. Or, perhaps it’s painting, sculpting or playing an instrument – feeling the rhythm of self-expression move through you. Or, maybe it’s tennis or snowboarding – perfecting your movements for the ultimate results. Whatever it is for you, FIND it. DO it. Regularly. You and your business will thrive because of it. Problems will get solved more easily. And, your joy in your work will rise. This is the one tribe I still struggle with. I’m an ambivert (both an introvert and an extrovert – I can switch them on and off at will). I’m able to hole up in my home office for days at a time. With my spouse, kids and dogs around, I hardly notice when I haven’t left the house in days. This isn’t the best quality for making new friends. I’m also very particular about the people with whom I invest my ‘pure socializing’ time. I always look for a combo of joyfulness, the global thinking of world travelers and immigrants, vulnerability and openness, and a growth- or ambitious-mindset. If they are mothers with kids of similar age to mine and entrepreneurs, even more bonus points. I want to learn, collaborate, and be vulnerable with my true friends. I find it takes me about 1.5 to 2 years to find a new, true friend. But, because we have moved around a lot, friends are scattered around the globe. In my new town, I’ve not been doing enough outreach to build a local tribe for myself. But, I’m working on it. Social tribes, like the previous 3 tribes I’ve described, are hugely important to an entrepreneur. 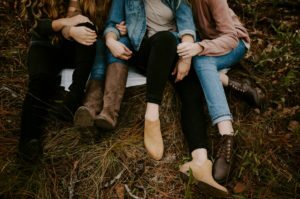 These kinds of tribes can bring in friends from all walks of life – religious beliefs, career paths, upbringing and lifestyle, wealth status, political leanings, hobbies, marital status – especially if some of these friends have been with you since childhood. True friends help you step away from your work, let down your hair, talk about the private aspects of your personal life, and love on you….just because. They have your back when you are sick or down. They keep you healthy, reduce your stress, and restore your spirit. As an entrepreneur pursuing a passion and a vision, you are probably well aware of how easy it is to go off the deep-end in your efforts to create your dream. Friends are the key lifeline you need to pull you back into the everyday perspective and a balanced life. And, as I mentioned earlier, women do so much better when they have a circle of women with whom to share this life journey. If your social tribe is weak, the first place I suggest starting is noticing who is already in your life. It’s common to have some wonderful people there, but the relationships have atrophied. Rekindling the connection between true friends is pretty easy. Pick up the phone, send an email, reenter each other’s lives. The next place to look is through regular, repeating hobbies, spiritual communities or local community groups that are likely to have participants or members you’d enjoy. The key is finding activities and events that keep the same folks coming back, again and again. It will give you time to build trust and discover shared interests – all of which will help you overcome the awkwardness of suggesting coffee or a meal out with a new, potential friend. 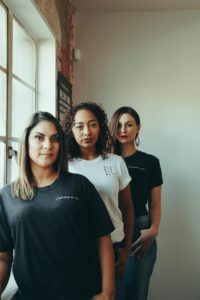 I find that when my female entrepreneurial clients have elements of all 4 tribes in place, they are the ones best poised to thrive in their businesses in fulfilling, sustainable, healthy ways. Here’s to YOU and finding YOUR tribe!